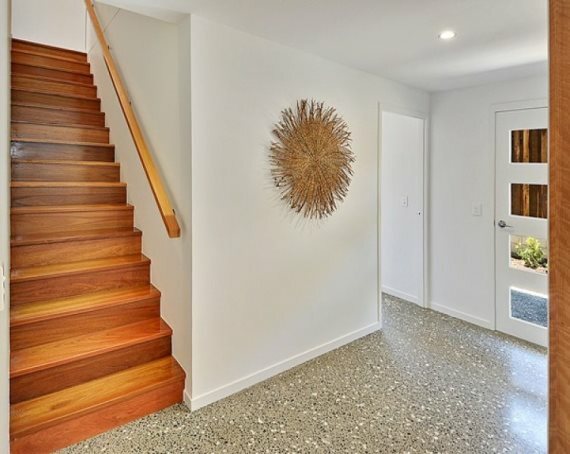 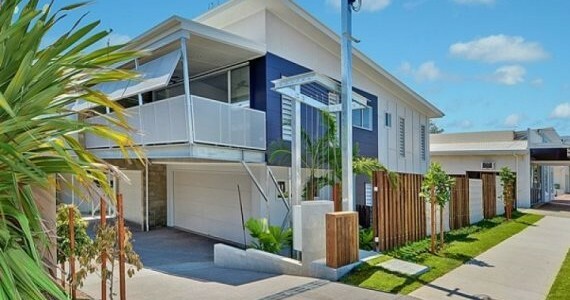 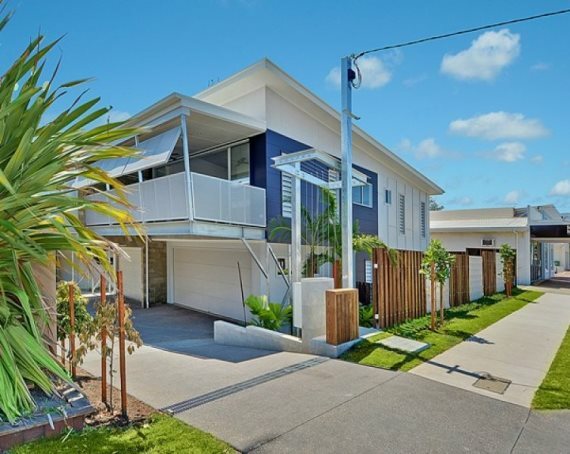 Designed for low maintenance and perfectly positioned 100 metres from Moffat Beach and its vibrant beach cafés, this stylish and elegant house boasts clever design, incorporating high ceilings, open plan and the intelligent use of louvers, giving a light spacious feeling and allowing the cool summer breeze to flow through the entire home. 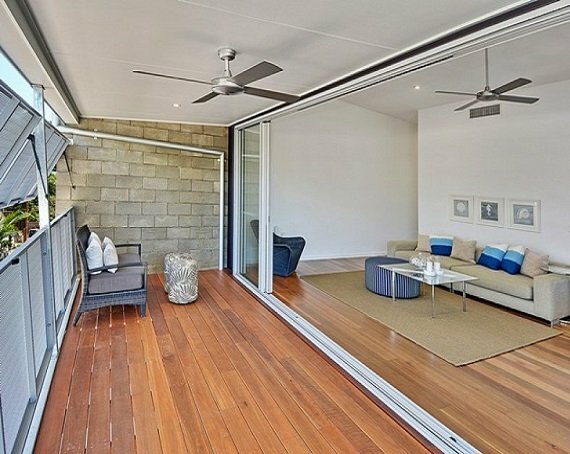 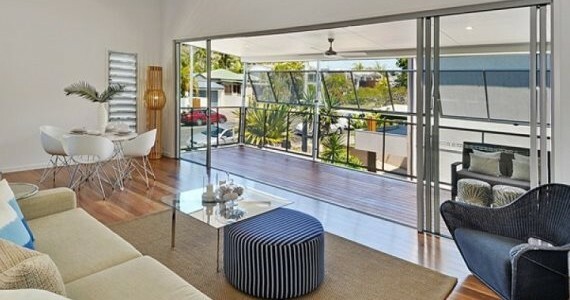 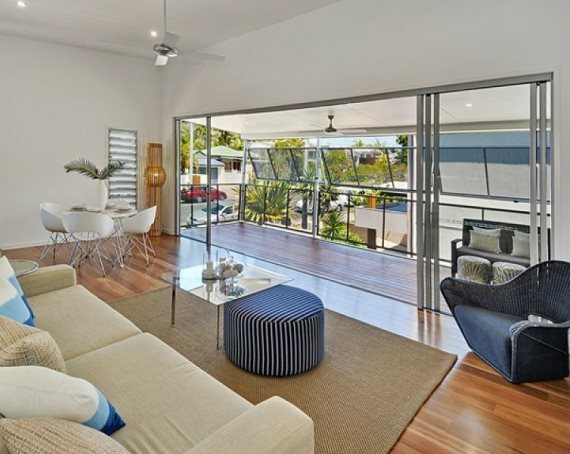 The stunning living area featuring Big River’s prefinished Spotted Gum Engineered Flooring seamlessly opens through glass sliding doors to the outside covered balcony to an extended living zone. 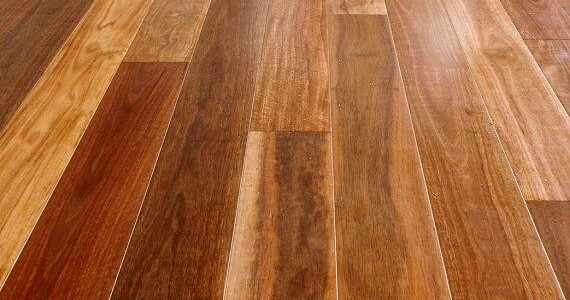 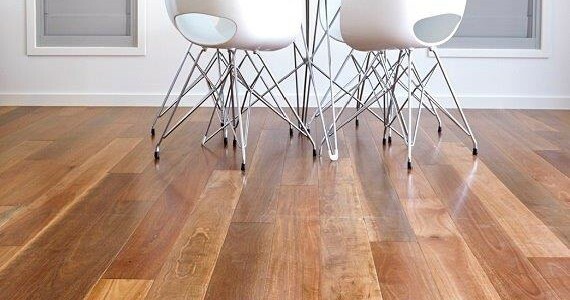 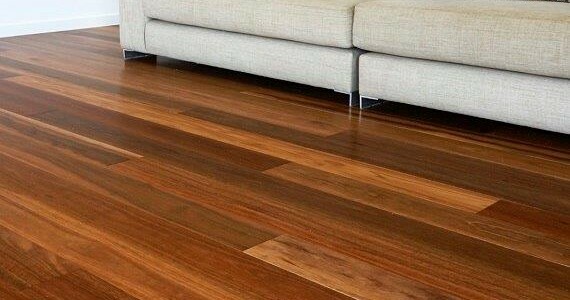 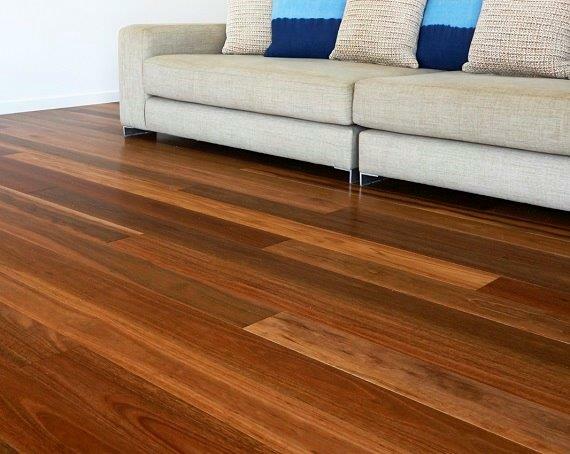 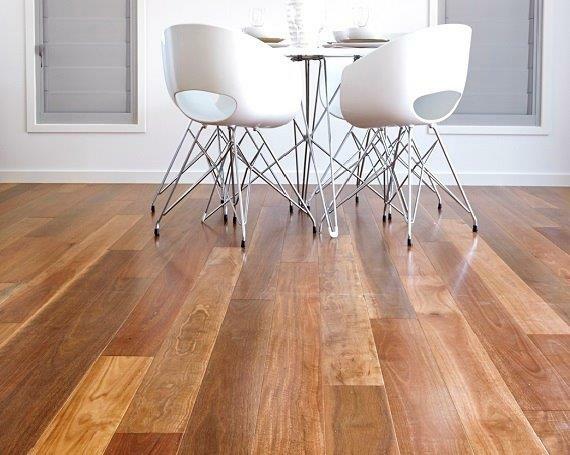 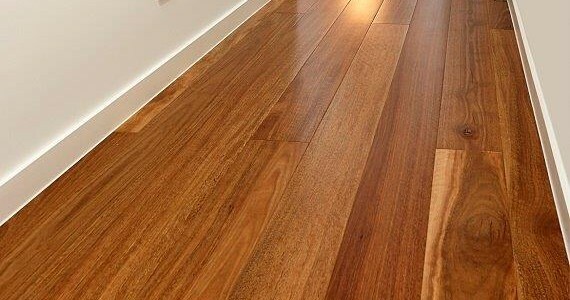 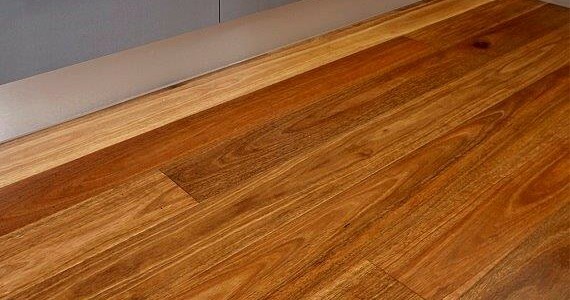 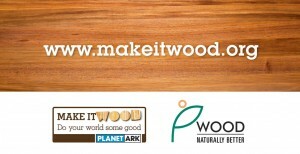 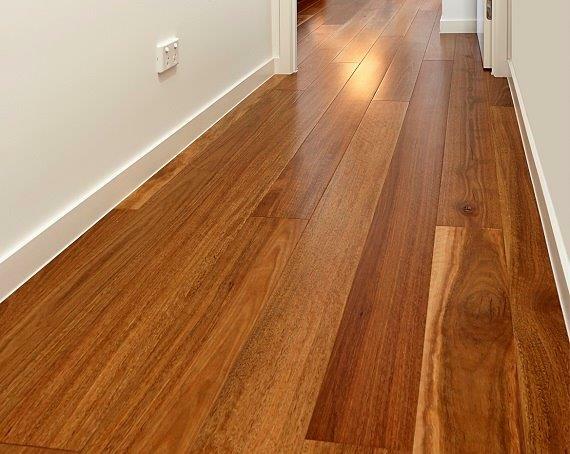 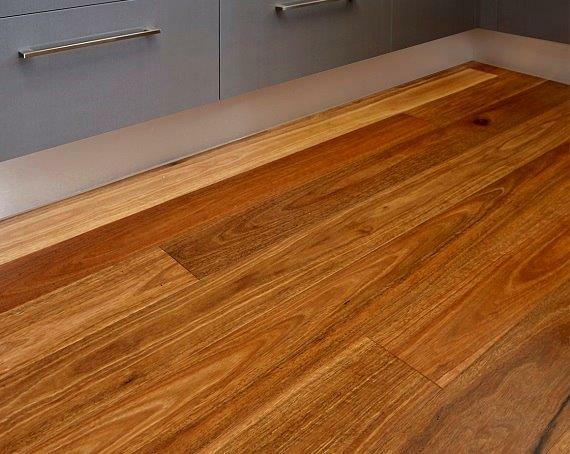 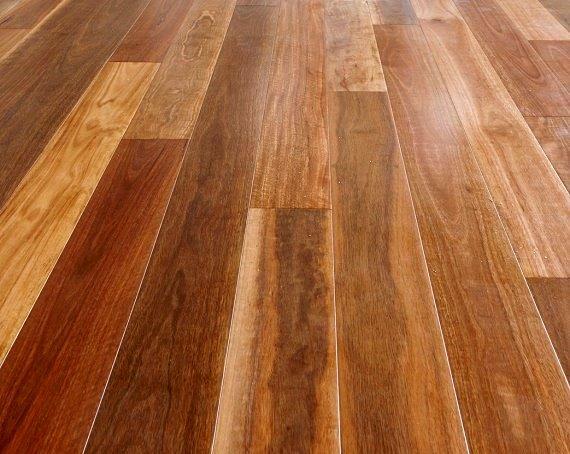 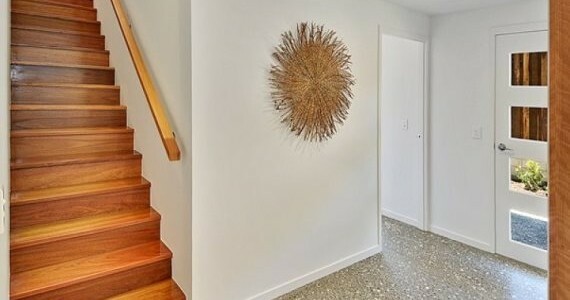 The Big River floor was chosen because of its 4mm Australian hardwood veneer, stability, economy and easy-to-install tongue and groove connecting system. 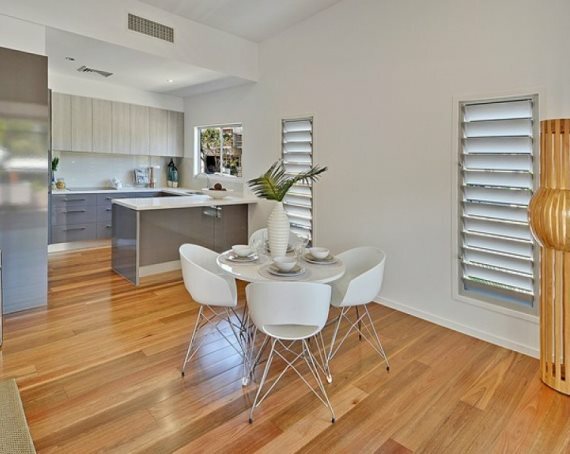 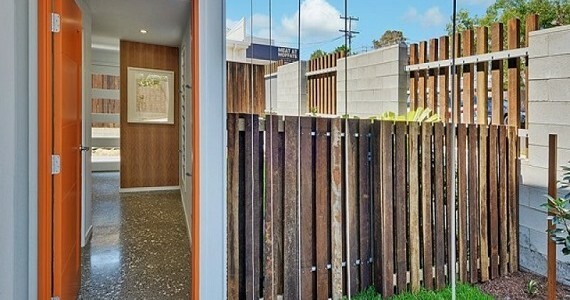 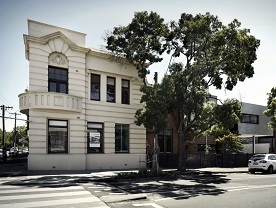 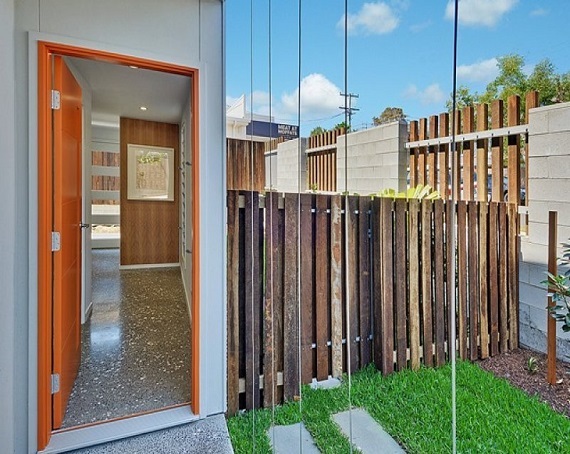 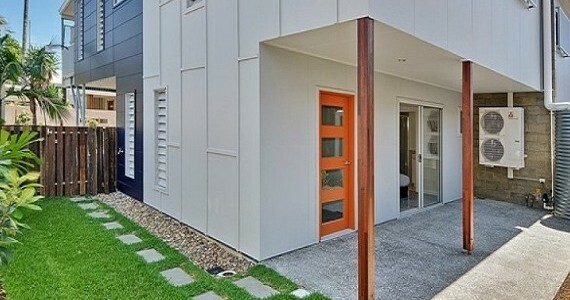 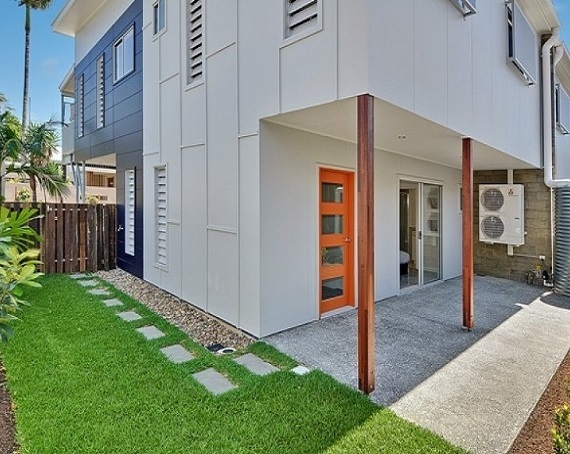 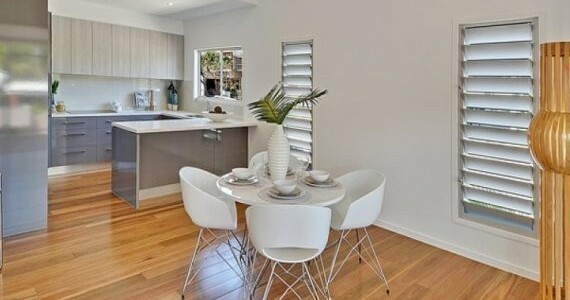 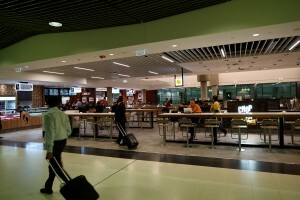 “I was after a semi-gloss appearance and am very happy with the end result” said owner Beau Salter.